1917 was to mark a turning point not just in World War 1, but in world history, for it saw not only the outbreak of the Russian Revolution and the birth of the Soviet state, but the entry of the United States into the conflict and its emergence as a global power. The American declaration of war on Germany in April 1917 was triggered by the German decision to launch unrestricted submarine warfare, which would make no allowance for American neutrality. In retrospect, the rationale underlying this action by Germany can be seen to be flawed, but at the time the success thus-far of German (and Austro-Hungarian) submarines against British and French shipping gave every indication that they could starve the European allies into submission long before American troops could be trained and landed in France. Other articles on this site illustrate just how devastatingly effective the U-boats, even small ones, had been in the early years of the war, and 1917 was to be ushered in with yet another spectacular sinking of a large allied vessel. The UB-47 was one of six small U-boats that were built in Germany, broken down into sections, sent south by railway and re-assembled at the Austro-Hungarian naval base at Pola. This 300-ton (submerged), 120-foot craft was armed with two torpedo-tubes and a single 88mm deck gun. (It should be borne in mind that in WW1 a high percentage of shipping was sunk by gunfire, since radio was not widely available to make distress calls, and convoy systems were only introduced late in the conflict so that victims were all too often on their own.) Making her first war patrol in the Mediterranean in July 1916, the UB-47 was to sink twenty ships over the next year, including some very large ones. Thereafter she was transferred to the Austro-Hungarian Navy and made three further scores before the war’s end. On the basis of value of enemy shipping sunk per ton of her displacement, she must count as one of the most successful warships in history. She survived to be scrapped in 1920. Under her commander, Wolfgang Steinbauer, UB-47 was to start her tally with the sinking on August 17th of an Italian liner acting as a troopship, the 9000-ton Stampalia, off Cape Matapan on the Greek mainland’s southern tip (an area of sea that was to host much action in both World Wars). The Stampalia was mercifully not carrying troops at the time and there were no casualties. Many successes followed – including three sinkings of freighters on a single day in August 1916. On October 4th UB-47 torpedoed and sank the largest-tonnage victim of her career, the 18,500-ton 625-foot Cunard liner Franconia east of Malta. She had been taken into service as a trooper but luckily, as in the case of the Stampalia, she was carrying no troops at the time. Twelve of her crew of 312 lost their lives. The toll of smaller shipping continued, including five small sailing vessels sunk off Sicily and a particularly gruesome tragedy involving a freighter transporting horses. UB-47 was to close out 1916 with another spectacular victim, this time the French pre-dreadnought battleship Galois, encountered in the Aegean Sea on December 27th. 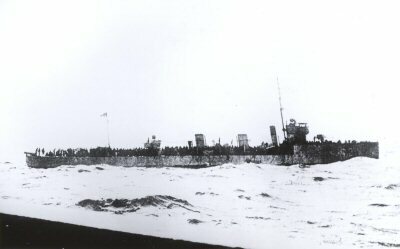 This 11,000-ton survivor of damage sustained in the 1915 attack on the Dardanelles was returning from a refit n France and was screened by a destroyer and two armed trawlers. Steinbauer, undeterred by the escorts, pressed his attack and scored a hit with a single torpedo amidships. It was enough to doom the antiquated battleship. She began to list, capsizing some twenty minutes later and sinking shortly afterwards, but giving enough time for all but four of her almost 700-man crew to escape. Five days later, UB-47 was to usher in 1917 with another high-tonnage sinking. 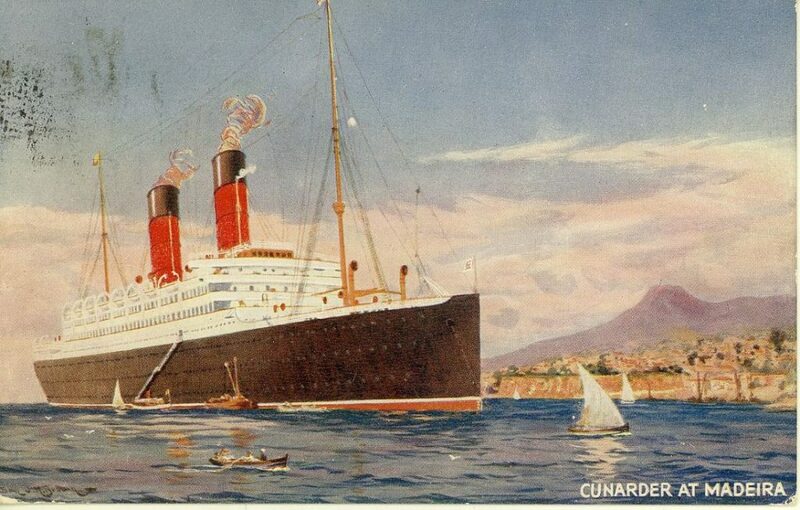 This was the 13,800-ton, 600-foot Cunard liner Ivernia, also serving as a troopship and sighted south-east of Cape Matapan, en-route from Marseilles to Alexandria. On this occasion the potential for loss of life was enormous since she was carrying some 2,400 British soldiers in addition to her crew. She was under the command of Captain William Turner (1856-1933) who the previous year had been in command of the liner Lusitania, when she had been sunk without warning off the Irish coast by U-20 with great loss of life. Though beyond hope of survival, the Ivernia sank slowly enough for the vast majority of those on board to escape by boat or by raft, many to be rescued by the escorting destroyer HMS Rifleman and armed trawlers in company with her. The final death toll came to 36 crew and 84 troops – tragedies for individual families but in their totality far smaller than the hecatomb that could otherwise have ensued. 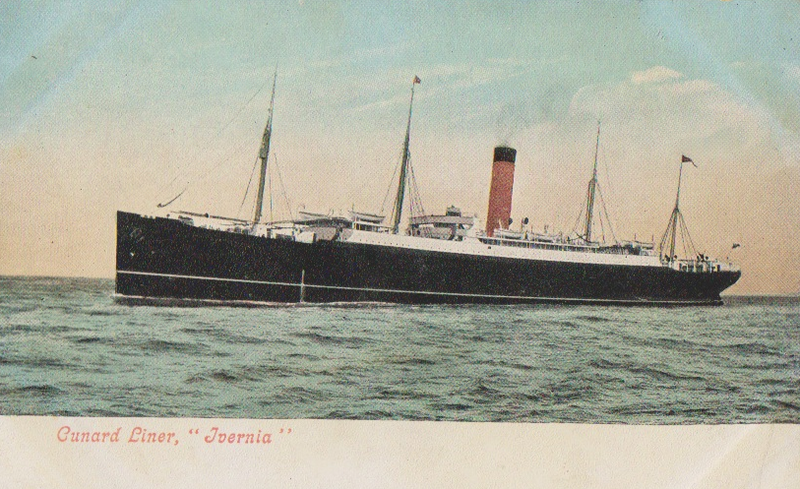 Captain Turner had been criticised for not going down with the Lusitania but he remained on the Ivernia’s bridge until she sank under his feet, swimming to safety thereafter. It was still only midday on January 1st 1917. The drama that had played out off Matapan was to be the overture to one of the most bloody – and momentous – years in history. Worse, far worse, was to come.